Is it Possible to Speak too Much of Jesus? The answer is, as usual, yes and no. If we are talking about the true Jesus of Scriptures, the answer is no. You can never speak of Him too much! However there is a problem. 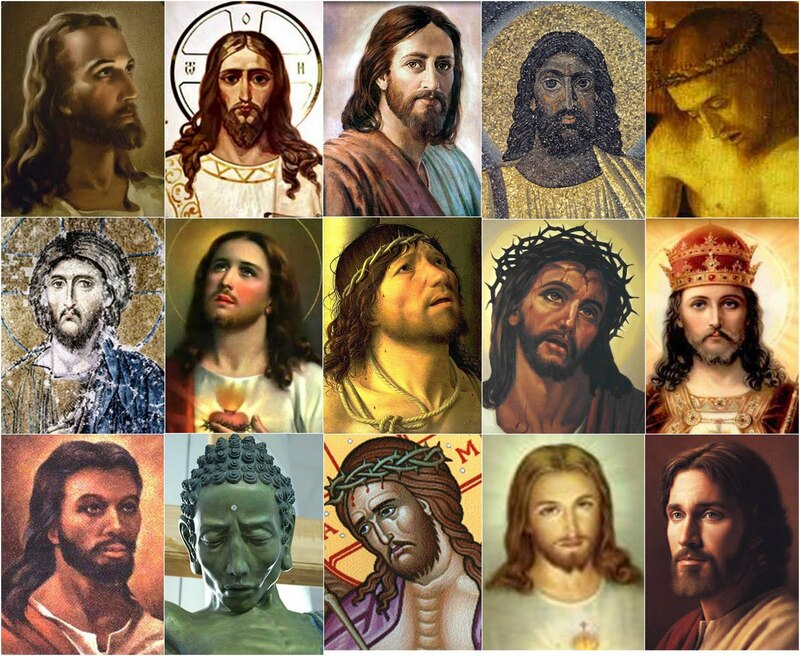 Everyone seems to think that they know who the “real Jesus” is. Often, when people say “I don’t like talking about theology/the apostle Paul/church tradition/the Old Testament/etc., I just want to talk about Jesus… What they REALLY mean is that they don’t like Jesus at all. What they really love worship adore and obey is a teacher, philosophy, or ideal which they got from elsewhere, but they name this ideal Jesus, and edit their so-called Christian beliefs according to it. Let me give you several brief examples of heresies and falls teachings which overemphasize Jesus. If I can tell you one thing about contemporary Christianity, it is that Marcian sweeping our country with great success and with virtually no opposition. If you wish to be successful in defending the truth for your generation, go back and read the fathers (Tertullian, Against Macron) who wrote against the heretic Marcian. The tools they developed will save your church and your people for today! Marcion taught that there is not one God, but too. There is the angry storm God of the Old Testament who was the creator, and the kind Jesus-god of the new testament defeated the creator. Because the old testament is written by and about the evil/wrathful storm god, it is corrupt and useless. But the New Testament – especially John, and most of the Gospels – which speak of the loving, kind Jesus are worth reading. Marcion had no use for Paul or Revelations. Marcian proposed a new Canon, in which the Old Testament was mostly omitted. He didn’t include most of Paul, and cut out the “scary” sections of the Gospels. He didn’t want to talk about wrath or judgment or sin. Just love. I’m sure you can see some contemporary parallels! If you take a class in Christian studies from a secular university, you will encounter the Marxist Jesus. This is the Jesus who somehow, mysteriously, had the 19th-century Communist Manifesto memorized. He was intent on overthrowing the power structures of his day, and proclaiming release and equality to the lower classes of society. Of course, he rejected or overturned or ignored most of what was written before him, and would have been scandalized by what was written after. Most of Scriptures are thus useless in understanding this Jesus. As I wrote about in my paper “the man who wrote Christianity and liberalism,” the best definition of liberalism comes from J. Gresham Machen. But the prize for being concise goes to classical H. Richard Neibour who wrote, “Liberalism taught that a god without wrath brought men without sin into a kingdom without judgment through the ministrations (actions) of a Christ without a cross.” Therefore, the way to salvation – which all will probably attain – is found by good works. Unsurprisingly, then, the Jesus of classical liberalism is a mere human who was just another good teacher. This is a development that has surprised me. However, both within the writings of Rob Bell and in some anecdotal cases I have heard of recently, there seems to be a resurgence of Judaism within the church. 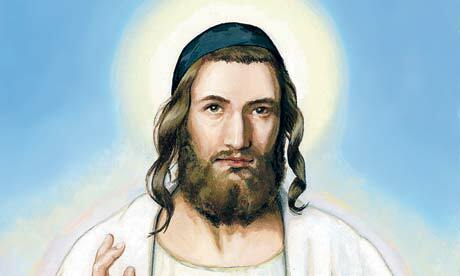 The reasoning is that Jesus was a Jewish rabbi. Therefore, he surely would have disagreed with everything Paul said. And perhaps some of the things written about him (supposedly by the later church) in the Gospels was incorrect. Therefore, Jesus must be redefined and reimagined according to a purely Jewish basis. Again, Jesus becomes nothing more than a good teacher, who preaches salvation through works. Existentialists are obsessed with finding the essential and fundamental nature of personhood. What makes us really real? What makes us exist? Kierkegaard and Barth were never quite that clear. However, it seems to me that they think in the same vein. My guess is that is why Bart and Kierkegaard talk continually about the openness of God, the unknow ability of God, the darkness of God, etc. And the followers of Bart have become the greatest enemies of fundamentalism and foundationalism, and many have run amorously into the arms of Derrida and the postmodernism and relativism of our day. Existentialism makes an EXCELLENT philosophical foundation for relativism. Barth would go so far as to say that systematic theology is idolatry – worship of a false god. We cannot hold theology over God, but must just continually return to Scriptures to hear what new things this surprising and unpredictable “personal” (there’s the loaded word!) God may have in store for us today. You will find these sorts of people congregated around the ethical decisions of our day. Homosexuality in the church, gender roles (should women teach? Headship and submission home? ), and the like. It’s not as though they have different views, or new evidence to bring to the table. They want to avoid the discussion altogether. After all, Jesus is a real, vibrant and living “person.” How can you simply read what he wrote 2000 years ago, and base your theology on that? Maybe he changed his mind! Maybe he will change his mind tomorrow? One can never tell when a person might do. And isn’t it cold and depersonalizing to simply read, divide and apply the Biblical message into cold, hard doctrines? After all, God is a personal God. So if we understand personhood in an existential manner – that is, that people really become persons when they act spontaneously and unpredictably – then we can never speak definitively about what God thinks or commands or demands of us. And where would we be without mentioning those people who do not bother with any philosophical stripe or denomination. If they dislike something in Christianity, they simply say “My Jesus wouldn’t do x.” And that settles it for them! By deifying their own personal opinion, and calling it Jesus, they are able to ignore any Christian teacher, no matter how many Scriptures he brings and how convincing his argument. Now don’t get me wrong – I believe in “listening prayer.” I do believe that God speaks to us today. In Biblical language, this is the gift of prophecy, and it has not ended with the apostles. HOWEVER, there are specific rules given for prophecy. We are not to believe every spirit, but to test the spirits (1 John 4:1). Ideally, prophecy should be practiced in community with others, where other godly Christians can “pass judgment” (yes, that’s what the Bible says) on whether a prophecy is correct or not (1 Cor. 14:29). Of course, this is not at all necessary most of the time, because most prophecy is highly personal and not theologically loaded. In my experience, when we open ourselves to the voice of Jesus, He wishes to speak of our sin, His love for us, and sometimes specific instructions of compassion or evangelism for the day. However, there is a deadly snare of the church. It is the temptation to “take a stand, based on the visions one has seen” (Col. 2:18). Paul had an experience of God where he was transported to Heaven and heard unutterable wisdom. But throughout his writings, he never appeals to this experience for authority. Rather, he patiently and thoroughly roots all his instructions in the Scriptures, and in the words of the incarnate Jesus. We must do the same. There are more than one spirit who can speak to us in our minds: and hearing God’s voice is a notoriously subjective enterprise. We must always put the authority of Scriptures higher than some “word of knowledge” we believe God has given us in a prophetic or spiritual/super-natural experience. For more on my opinion on listening prayer, see Does God Speak to us Today? Let us ask, again, whether it is ever possible to speak too much of Jesus? No! I do not think that it is. If we are going to speak of the rock of Israel, which led them out of Egypt, who gave him water in the desert and also the 10 Commandments… If we are going to speak of the flame of fire which consumed them, and the light that went ahead of them… If we are going to speak about the spirit of holiness which came upon the prophets of old and through them demanded that Israel return to their living God… If we are going to speak about the God of love and grace who continually forgave and punished and forgave and disciplined in love Israel… If we are going to speak about the Jesus who is God incarnate, who came to explain and add to his previous revelation… If we are going to speak about the Jesus who said “I am the Way, the truth and the life, no one comes the father except through me”… If we are going to speak of the Jesus who is coming to judge the living in the dad, who said “many will say to me on that the Lord Lord, but I will say to them I never knew you. Depart from me, you who practice iniquity”… If we are going to speak of the Jesus whom Paul explained is the propitiation for our sins… If we are going to speak of the Jesus whom Revelation pictures as riding on a Whitehorse to put all the world to right, taking his elect to himself, while casting Satan and sinners into hell… Then no. We can’t speak too much about the Jesus of the Bible. But if we are going to speak about one of these other false “Jesus”es…The Jesus of Marxism, of Marcianism, of Judaism, of liberalism or existentialism, of personal opinion or of supernatural experience – then yes, we can talk far too much. It is amazing – just astounding! I actually am starting to dislike the word Jesus! Not because I dislike him. Certainly not! But because sad experience has taught me over and over that when I hear the words, “we just need to talk more about Jesus…” I need to brace myself. I have heard the warning: bad theology is ahead! To be quite honest, I think we would do better to speak less of Jesus, and more of the disciplines which safeguard the words and person of the true son of God. For example, our time would be better spent defending the record of his actions and words with Israel in the old and New Testament. That is, in defending inerrancy and verbal plenary inspiration of Scriptures. Our time would be better spent in understanding the meaning of Jesus death not through a contemporary philosophical cipher, but through the inspired commentary provided by the apostle Paul and the other apostles and prophets. We would be better off spending our time – in the company of all the great saints of old – wrestling with theology (yes, even systematics theology!) in which we would learn about and safeguard the nature of God. And so to conclude, let me just give you one tool. Every time that someone says “Jesus” you should include three powerful words in your mind. They are “my own personal” Jesus. This simple tool will help you realize that when people speak of Jesus, they are usually just speaking of the idol they have erected in their own hearts and minds, and placed above the authority of the living Jesus of Scriptures. In other words, when people say “let’s just talk more about Jesus,” in reality they are often trying to talk more about their own idol (conveniently named Jesus) and they wish to speak less of the words, life and word of the real Word of God, Jesus Himself. And be careful also of this tendency within your own heart and mind. May the spirit of truth, and the word of power be your guide. Thine is the friend of All Mankind. One Reason Why Men Hate Church May Be…. I very much agree with your thoughts here. I can’t tell you how many loving Christians I have come across who don’t want to face the reality that Jesus did get angry-remember what He did in the temple to the money-changers? God is more than love… much more! God loves AND disciplines! God hates the sin within us. And He’ll do whatever it takes to get us back to where we should be- Glorifying His Name and walking the straight and narrow. And then there are those who describe their own personal Jesus as someone who does’t even come close to who He really is within the Scriptures. The God of the O.T. is just as real and alive as the God of the N.T! Good points. Have you noticed that those who speak lots about their personal Jesus rarely refer to him as Jesus Christ? That is an interesting observation! Yes, I think that’s what a person tends to speak more of a friendly, familiar Jesus without using his full name. Interesting thought.